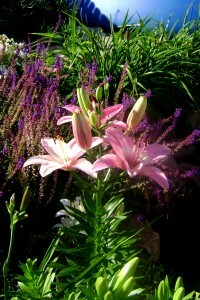 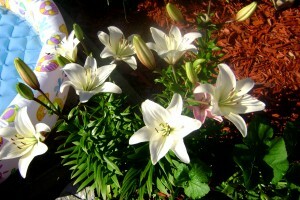 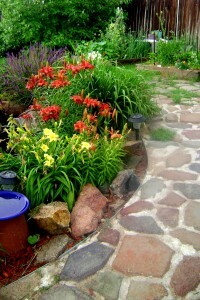 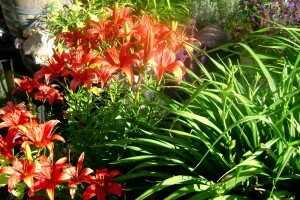 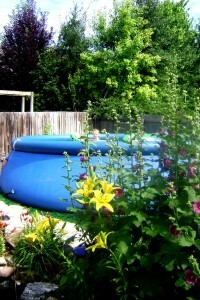 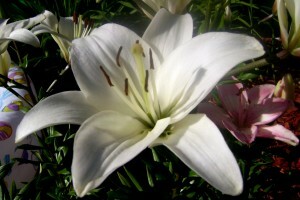 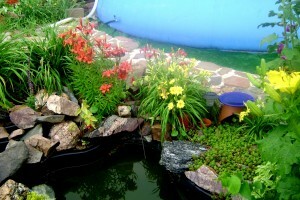 As I reflect on the garden of 2009, I have realized, OK-wow…I had lilies. 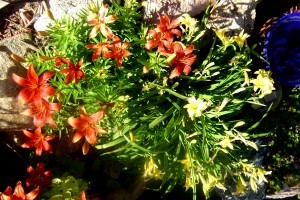 They are so random and scattered and were absolutely planted here or there with no expectations. 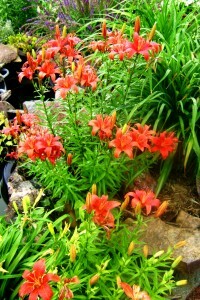 And every single lily, whether the extremely drought resistant mini-daylilies or the exotic Easter and Asian lilies, were purchased on clearance by bulb. 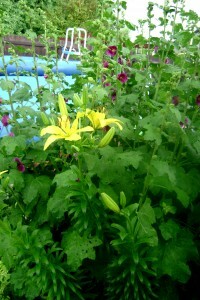 In fact, I got them so cheap they were pretty much purchased with a whatever-happens-happens attitude because I didn’t even know if they’d grow. 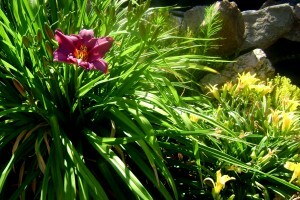 But now, a few years later, I am glad I took the risk and I have throughly enjoyed, considered even, the lilies.